Caroline Karla Antosiak – a Polish model who comes from Trójmiasto – an urban area consisting of three Polish cities: Gdańsk, Gdynia and Sopot" and works for world fashion brands, for example: Giorgio Armani, Chanel, Louis Vuitton or Dior. Although she is still in a travelling mode, she feels in Rrance the best. She admits that it’s hard to stay in one place. She studies computer graphics and drawing which are what she wants in the future. Now she uses an opportunity, which gave her MalvaModels Agency and this company gave her a chance at world runways. 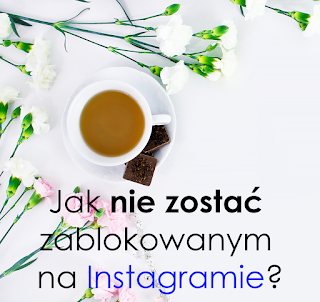 For 24 years Caroline was a very busy person, but at Polish website Kulturalne Rozmowy the girl found some time and discovered backstage of the fashion model, risks which are not entwined with fashion and about how fashion brand will look in the future. You have to read this, because you will be surprised. You work for the biggest fashion brands, but it was not always like that. Tell me about your way to world runway. How did it all start? Karla Antosiak: My adventure with fashion has started in a Polish city named Łódź during The Look of the Year Competition. I was 16 at this time. I agreed to take part in this event after being persuaded of my mother and an aunt. I liked this adventure very much, but it was not enough to think about modelling as my professional habit. When I moved to Try-City to study, I took part in fashion shows Amber Look. During castings I met Malwina Smętek – owner of MalvaModels Agency (I invite you to fanpage this company), which offered me encouragement and soon afterwards arranged my first foreign contract in France. I started with fashion shows in Paris for Boutique123 brand. After that I got contracts for famous couture house, mainly working on fittings. My first fitting was for Sonia Rykiel and Dior. With time I took part in fashion shows. Most of them were within haute couture during Paris Fashion Week. Modelling obligates you to change locations constantly. How is it when you can live in a few places in the same time? Can you tell where is your home now? To be a model has advantages and disadvantages. I am older and notice that it’s much harder because you see that you don’t have your own place, one wardrobe. My things are in many cities. Half of them are in Paris and another half are in Gdańsk and some of my things are in my home city. I dream to collect everything in one private place on earth. Unfortunately, it’s impossible at the moment because of my job. Of course, to be a model has also advantages. I really like travelling and it’s hard for me to stay in a one place. I want to take the chance the best I can. That’s why I don’t hesitate to travel to any destination which is offered me. I have a traveller’s soul inside me. You’re telling me that you can’t stay in one place for a long time. So do you like your kind of job – steady travels and returns? What do they give you? It’s true. I don’t like to be bored. When I’m in Paris absorbed in my work, the days roll on very nice, but if there is a small break in my job, I miss my family or I want to get away somewhere to see something new. When I’m in Poland and visit my all family I feel I can go on for the next journey. I like to travel! It gives me a new look at the world, opens my mind, teaches me. I like to observe – even when I sit on an airplane as I wait for a departure. Each journey is a new lesson of life and deals with simple and difficult things. My work and its specificity have taught me patience. Time will come when I will live in one place, but I don’t stop traveling. It never changes. What is your style – do you prefer more rock’n’roll or princess? What defines you? None of these. I like simple, classic style with a hint of variation. I think I can describe myself. I am like every day, private. Whereas when I go on the runway fashion designers create my look and show me as elegant, sophisticated, even as a princess. During fashion shows you have to wear clothes, which are dictated to you or after all, do you have influence on what you perform? What does a fashion show look like in Poland and foreign country? Do you notice any differences? During fashion shows models don’t influence what they wear. It’s the imagination of the fashion designer, stylist which is assigned to this model and brand. We have to just show clothes on the runway the best we can do it. I didn’t take part in Polish fashion show for a long time. As I remember, in Poland preparing for fashion shows takes an incredibly long time. In foreign countries models come even half an hour before the fashion show gets started and everything is manageable. Of course, it depends on the collection. Also fittings for foreign fashion shows can take a very long time. There is no rule. One model can fit clothes in 15 minutes, and another model can spend 4-5 hours. Fashion shows are an individual subject. In Poland or away from home – I really like fashion shows. It’s a pleasure and an honour to be active part of this event as a model for me. How about models? Do you notice any elements of competition which do not occur in Poland? I didn’t notice competition in modelling. Certainly we find some individual people – as in any profession – which are not friendly to others. Thankfully I have met very pleasant girls until now. We help with everyday affairs; e.g., how to get to casting or we borrow high heels from each other or even slice for prints during our work, when our feet hurt because of shoes. There are many such situations which are proof that competition between models is just a stereotype. Personally I haven’t met an unfriendly attitude coming from models. It is just the opposite. It’s nice to hear it. I’d like to change the subject of our interview and talk about street fashion. What do you think about our Polish street fashion? Why isn’t it as brave as foreign street fashion? What is the reason? In my opinion Polish street fashion isn’t as brave because there is too much of a critical situation in Poland. I think people are scared of experimenting with fashion, because they are marked or others can laugh at them. Polish people are out of slack, distance to each other and distance to world. When I lived in Paris, New York or Tokyo I observed that everybody dressed as he wants. Inhabitants of these cities like to experiment with fashion. In Poland we have the opposite situation. Of course in our country we can observe well-dressed women and men, but indeed Polish people lack courage. When I come back to Poland I notice that my personal fashion style I leave in Paris and I pack my ordinary wardrobe into my suitcase. You perform during fittings, showrooms and photo shoots as you said during our conversation. Which of these activities do you prefer? I really like photo shoots or fashion shows. Photo shoots are cooperation with a team of several different personalities, so it’s usually funny. Fashion shows are the culmination of hard work of all fashion houses, so my performance in a fashion show gives me a lot of satisfaction and energy. I guess fittings and show rooms are the most difficult job because of the physical challenge, e.g. : long standing and frequent dressing up or performing collection for a client which takes even 12 hours. After this hard work day I feel pain in my back and my feet hurt. Fittings take place in silence during which a fashion designer creates a new project, creation. Sometimes someone asks me my opinion about clothes which is just creating. It’s a calm kind of job. Being a model is just beautiful clothes, lavish life and constant travel – this is the common image about girls presenting clothes. And what is the truth? What dangerous situations wait for models? Personally I haven’t met with direct dangerous situations but you never know, this kind of situation lies in wait at every turn. First thing, I do not reply to any emails or messages from unknown people who offer me a job. We shouldn’t trust strangers. I thought if someone is really interested in working with me, then he will contact my agency. I also definitely avoid going out with and going to parties with unknown people, which unfortunately happens to some models. It is there that you encounter various dangers of drugs or intrusive admirers. Another problem is anorexia and bulimia. It happens that models want to work at all costs and believe that just being very slim provide them a job. It’s not true of course. Common sense is the key in modelling. I already know that you don’t go out or to parties with an unknown group of people. Is there something else which you don’t do as a model for no money? Of course. I would nothing dirty and I did nothing what threatens my life and health. I didn’t perform naked during a photo shoot or fashion show. I wouldn’t take part in an advertisement or campaign which promotes something that is not consistent with my beliefs. You wear clothes that come from the most expensive fashion brands. What is it like to wear such fashion “pearls”? What do you feel when you put them on? I feel very special. It is really fantastic to be chosen by people from high fashion business to present their clothes. It’s nice to see myself In the mirror in another style than I wear in my everyday life. One day fashion designers dress you in beautiful dresses and the next day they stylize “the tomboy”. It’s interesting to see yourself in such different styles. When I worked for Dior and Louis Vuitton I had half a mind to take all these “pearls” to a home. Dressing in clothes worth even several hundred thousand zlotys I feel more beautiful and definitely much more confident. What does your wardrobe look like? What cannot be missing from it? First of all, black classic trousers, long coats or jackets, boots and a small handbag. This set works for any occasion. Of course, I also have dresses and that is most of my wardrobe. I prefer comfortable styles. I like to blend classical clothes with some interesting, striking thing. I put on a classic outfit with a hint of extravagance. This makes styling – despite the fact that it is simple – not boring. What is it about modelling that many young girls would like to be in your place? What personally entices you in this profession? I think first of all the travel and places which I have occasion to visit. You can get to know and make beautiful relationships with people that can last for years. You can experience special moments by knowing the culture of a country. Cooperation with people is also interesting. Working in fashion homes like Dior or Givenchy, when there are many people who make even small things I know and observe how it all works. It’s really interesting how many times they are devoted to what we can see on shop exposition famous fashion homes. Personally I am happy when I can see in a shop clothes which were designed for me. I have a sense of what it is to be a part of this creative process, all the more if a fashion designer asked my opinion. Certainly it must be a huge honour for you and you feel like a star in this moment. What should a model be according to you? According to me a model should be punctual, hard-working, confident, and she also should have distance to herself and people. She has to be mentally strong not to get lost in a crowd of competition with other girls, but first of all she should be a positive and smiling person. It makes you charming and you glitter. If you spread positive energy around, your work is much more enjoyable. It’s very important not to go for a work humpty (“angry” or “out of sorts”. The best is when you leave your all sparks and sadness at home and you go on a casting or another job in a good mood. In which distance does the fashion follow? I have the impression that modelling for several years departed from classic, beautiful models. Just now we can notice that the most spectacular careers are made by models with specific, often characteristic looks. I also think that with time we will reach such a stage that there will not be too many professional models, because virtual models will be generated. The world is heading for this in every profession. First I thought about it during a fashion show in Tokyo when holograms which were created was close to us with the same clothes which we assigned to us. On a runway next to me went a model similar to me which was a hologram. The most interesting was that when we began this show we didn’t know about it and when I went on the runaway suddenly I was scared that someone was walking next to me. But I quickly noticed it was only a computer character. It might be an incredible experience. I can see about it first time but in case of Tokyo everything can be expected. After this many fashion shows and photoshoots and continuous travel you must be tired. What do you happily do when you relax? I draw – it relax me very well. I felt it strong when I started studying graphics. I read a lot and I always have a book with me. I relax actively, I can’t lie on the couch all day watching TV. I do sports, I meet with my friends, with family. I like the cinema. Do you have your own favourite place on earth? I don’t have my favourite place on earth. I really like to go back to sites which stole my heart. I love Paris. Outside of Poland it is my second home. This city I know better than Gdańsk where I go back after each journey. I saw many beautiful places and it’s hard to choose only one. Each of these places is special in a way. Today I feel in France the best and in Trójmiasto. On desert island I would take… Give me 5 things without you don’t go out anywhere? Book, pencil, sheet of paper, dress, moisturizer Khiels. My biggest dream is to achieve more and more in order that I never stop and regress. I want to develop my talents every day to have a sense of achievement in my old age. I don’t have only one particular dream except that I choose small goals which I follow patiently, consistently and with passion. I wish your passion will continue all your life. Now you’re on top but have you already thought about your future? Do you plan to stay in fashion business after you finish your career like most ex-models? Would you like have a charmed life on pension at the lake yet? I’m still thinking about which way I should choose in the future. Actually I’m studying graphics and I’m learning graphic programs so it’s possible that over time this habit will be my other profession. I’m very passionate about it. I draw and create in every free moment. Certainly I would like to have a calm life several years than from now. What about pension – this dream is in my head and I think about it very often and what happens, we will see. Thank you for an interesting conversation. Good luck in pursuing your next passions and dreams. I also recommend Polish version this interview. You can read it here.